Each wedding is as unique as the bride and groom. The gallery below will give you a brief example of the some of they ways we can make your day extra special. 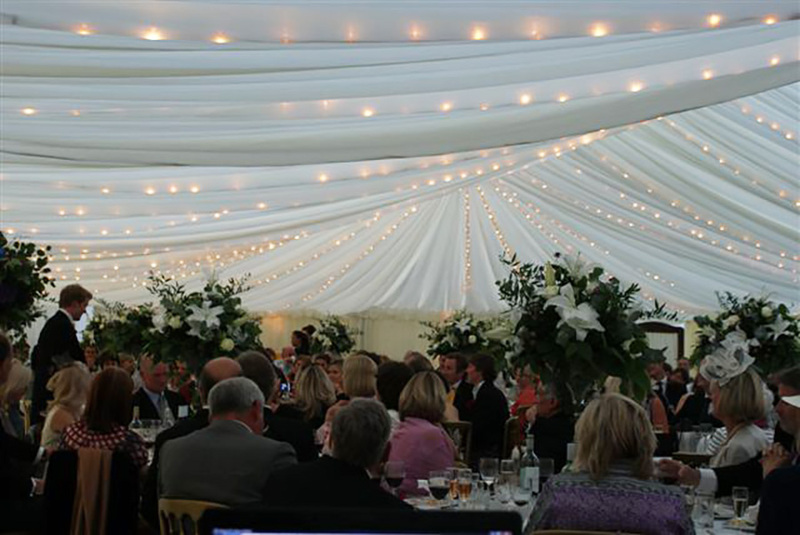 Lights camera, action... A wedding marquee offers you the most flexible space to create the perfect day that you, your family and friends will remember. From flowers and favours, to glasses and tableware, we can make sure that everything is just how you imagined it would be. 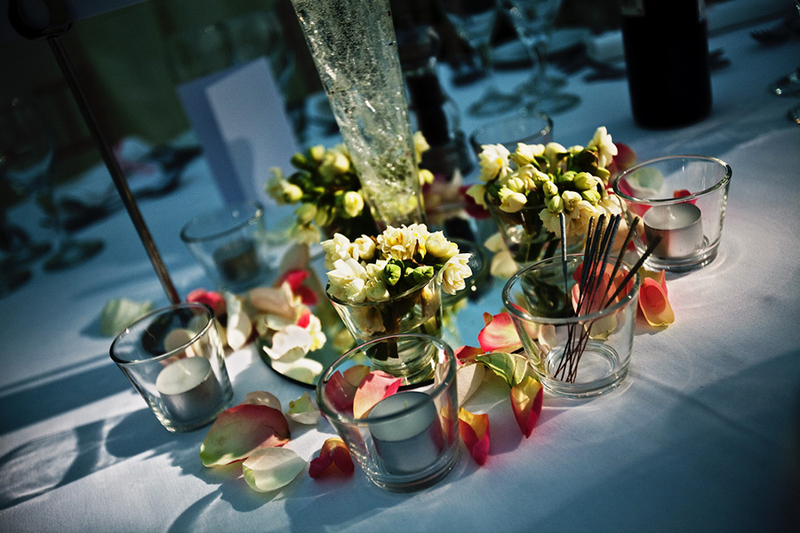 We work with a network of trusted and talented wedding suppliers who can realise your dreams. Let your imagination run wild. 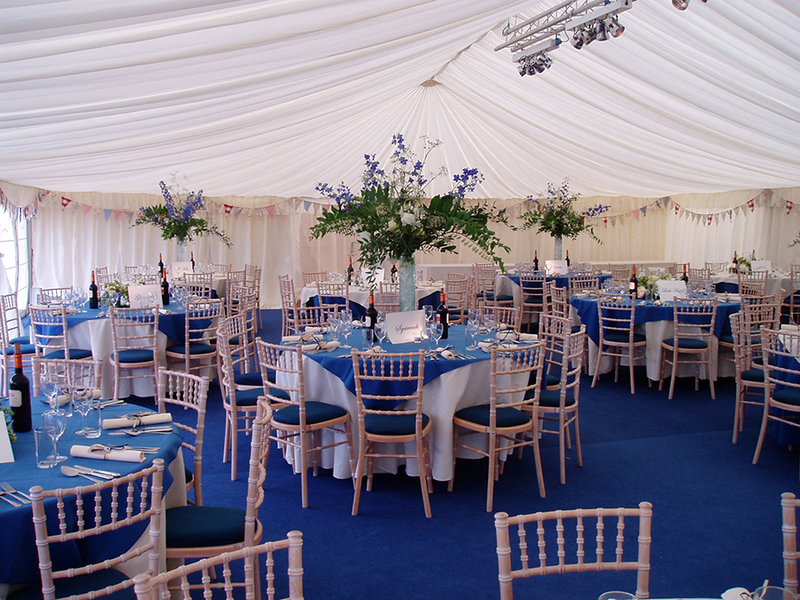 Bring drama and excitement to your wedding marquee. 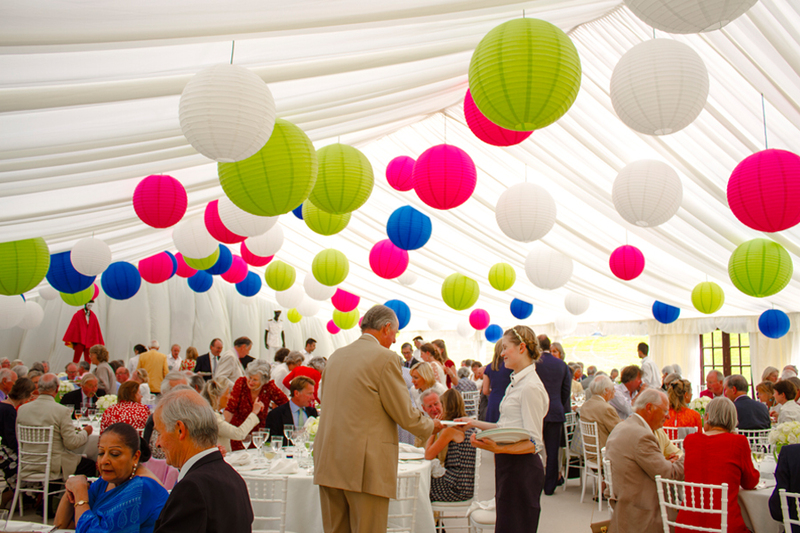 Clever use of bold multi-coloured lanterns transform a big open space into an effervescent and eye-catching dining space. 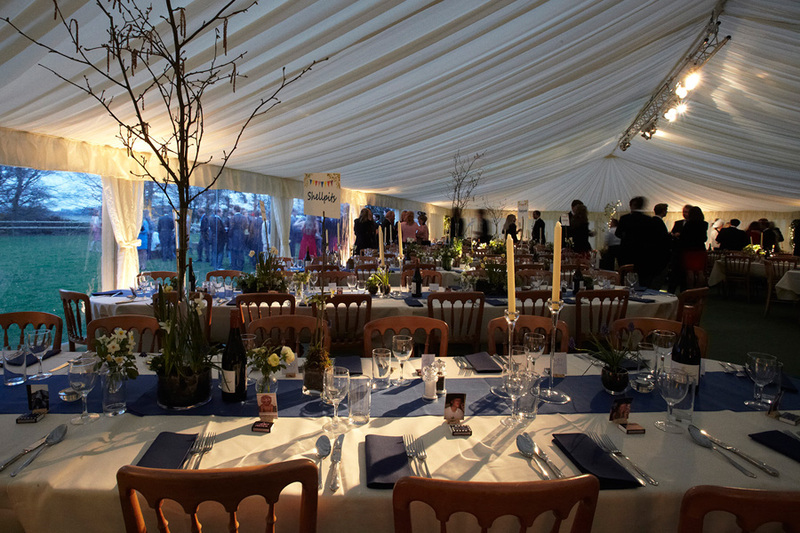 The perfect romantic atmosphere for an evening party at a Winter wedding where your guests will be warm and comfortable with our high calibre marquee heating systems. With the clever selection of furniture, linings, carpeting and floral decoration we can concoct a classic English wedding. Guests can dine and party under the stars with a simple but beautiful star cloth lining. 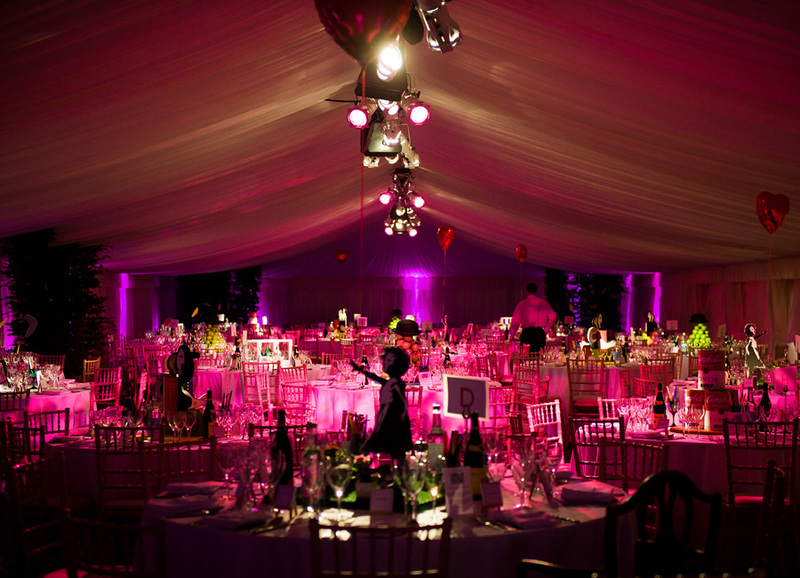 Numerous creative lighting and lining options contribute to the right look and feel for your wedding marquee. 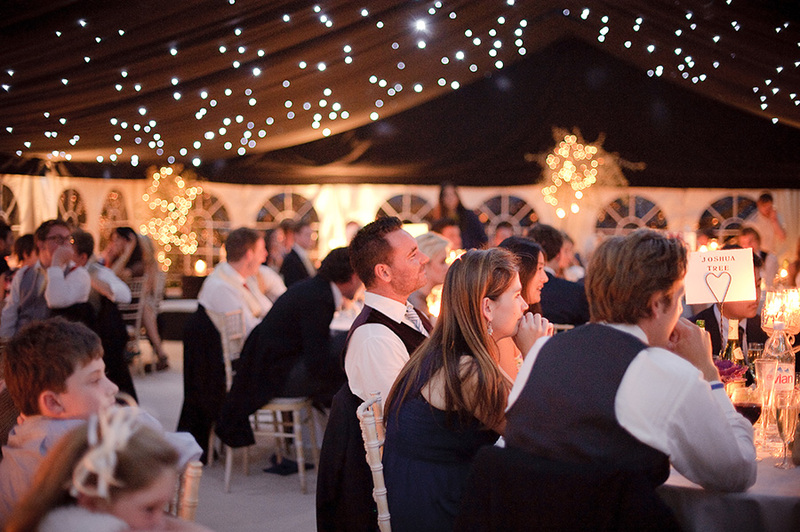 Early evening light fades and the hidden fairy lights provide the perfect romantic atmosphere for speeches. Anything is possible - a dream come true - if all you've ever dreamed of is taking to the floor bathed in light we can make it happen. 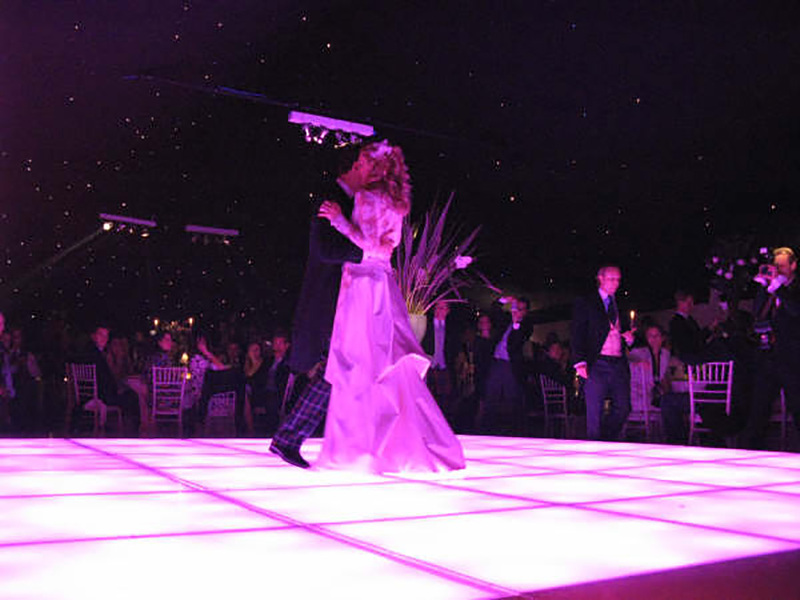 There are a wide range of dance floors that can set the scene perfectly. 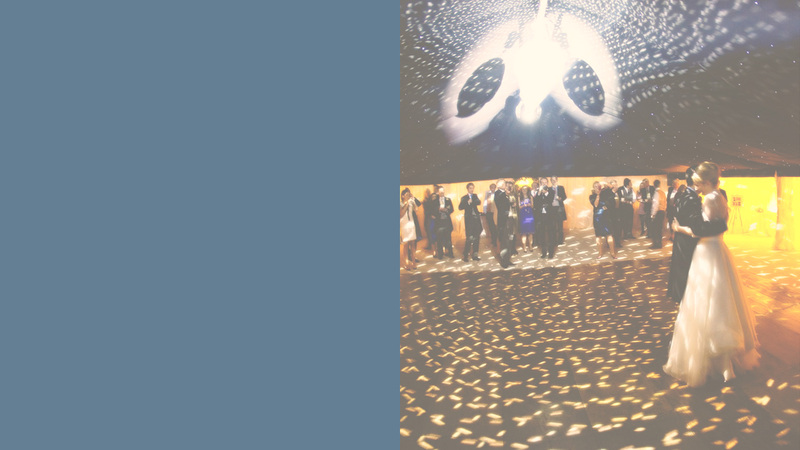 From funky lit dance floors to dramatic black and white dance floors. 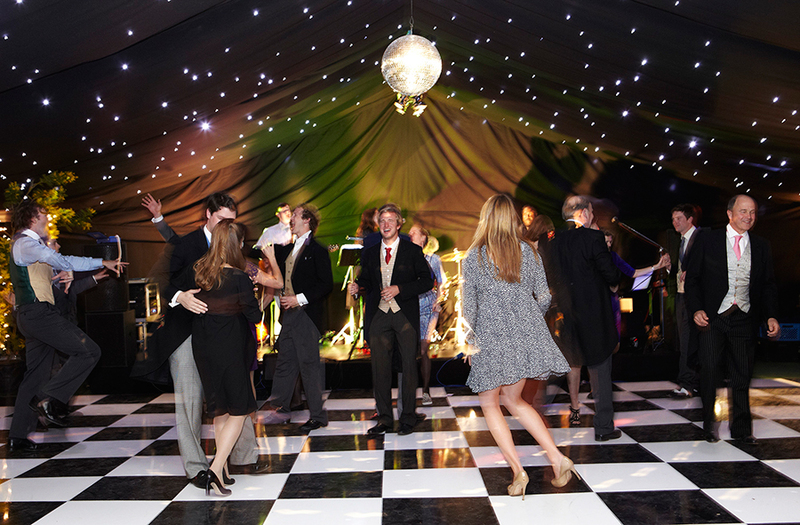 From the moment your guests arrive until they leave the dance floor at the end of the night we can provide the perfect space to make sure that they have a great time. A wedding at home is special, in the surroundings that you know and love. 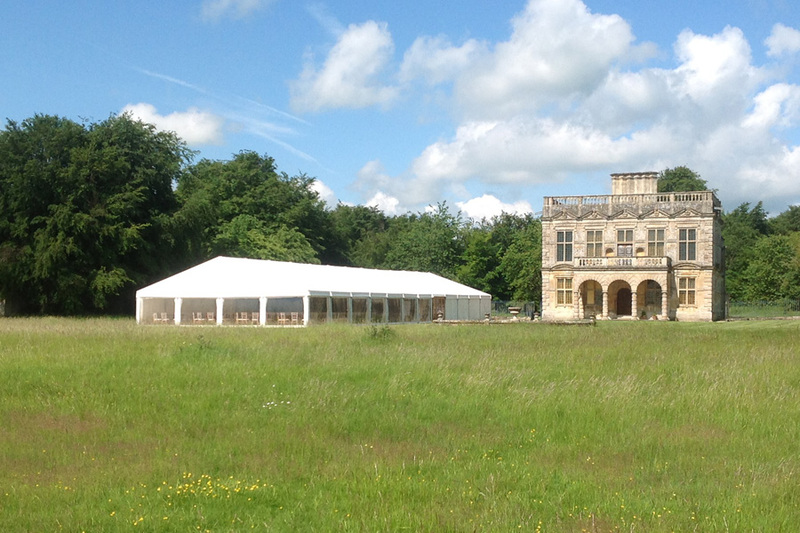 After a site visit we can tailor a marquee to make the most of your location and tick all your boxes and fulfil all your wedding requirements. 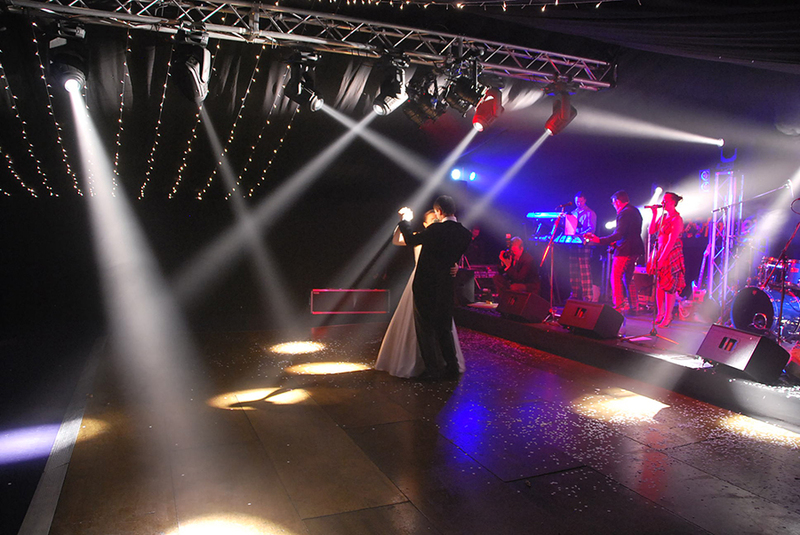 Beautiful venues often have limited space for dining and dancing. 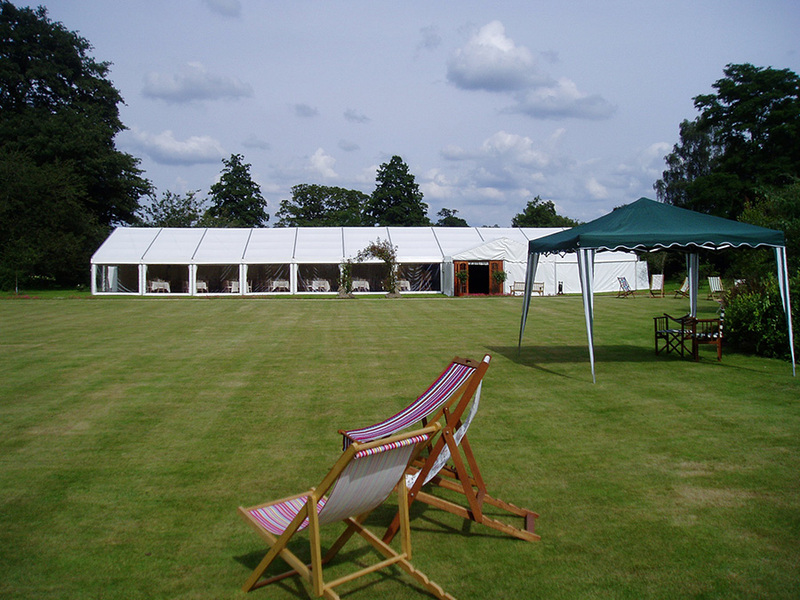 We have the expertise to extend the space in a flexible and considerate way giving you the best of both the venue and marquee. We can turn your vision and ideas into reality; contemporary or traditional, sophisticated or rustic, themed or classic. 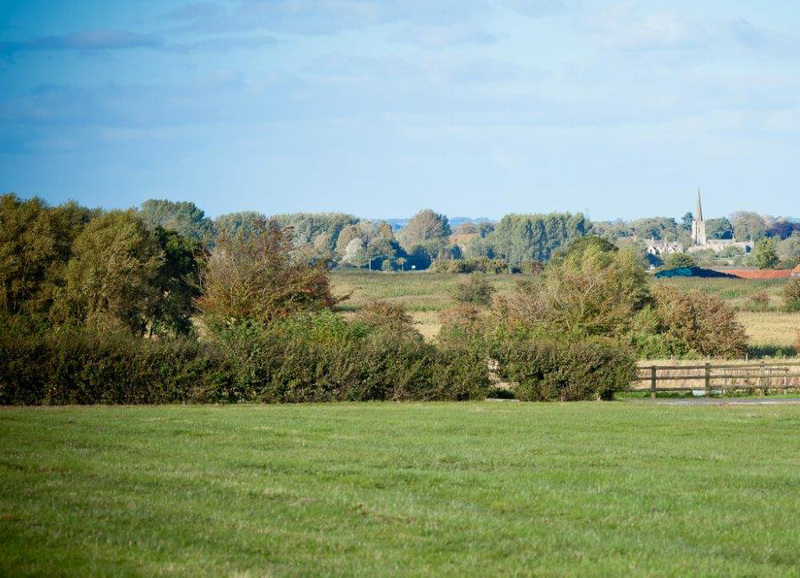 Working with your planner, your venue, or just let us manage everything for you.